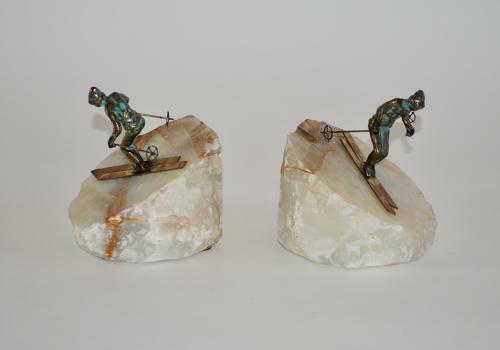 Pair of bronze skiing figures on shaped onyx bases. The figures are 9.5 cm high. (Total height 15 cm including the onyx base). Can be used as bookends or 2 individual sculptures.